As a group of professional Wealth Management specialists, the Crockett Trevelyan Wealth Management works with individuals, families and small business owners to help them diversify and grow their wealth over time. In collaboration with TD specialists and external specialists, we're committed to preparing our clients for the certainty of uncertainty. This means being prepared for the possibility of a long life or one that's shortened, a healthy life or one faced with challenges, prosperous times during strong markets or holding steady through weak markets. It may sound simple, but it isn't easy. Whether your needs are straight forward or complex, we're dedicated to delivering tailored, comprehensive, tax-efficient wealth management strategies, all with our personalized, client-focused service. The short story is that we can help our clients align their wealth planning decisions to their goals and values. We can't predict the future, but we can help prepare our clients for their ideal version of the future – and one that can help protect and preserve the legacies they want to leave. We invite you to consider taking advantage of our professional guidance to help you manage the growing complexity of your financial needs. As a group of professional Wealth management specialists, Crockett Wealth Advisory Group works with individuals and families to diversify and grow their capital over time in the most tax efficient manner possible while protecting and preserving their legacy. You've worked hard to build up your investment portfolio, but as your wealth grows, it also becomes more difficult to manage on your own. We have the resources to develop a comprehensive financial strategy that is ideally suited to you, including investments, retirement planning, investment tax planning strategies, business succession planning, charitable giving and more. We are supported by a team of trained Wealth Management specialists, who provide our clients with integrated, comprehensive, customized solutions to meet their financial and investment needs. The benefits to you are significant. With TD Wealth Private Investment Advice, you will be involved in the decision-making process, and you will have the added value of professional experience and advice, a fresh perspective, new ideas, and extensive resources. Plan for security: Wealth protection strategies using life and health insurance are the foundation of a sound financial plan and are one of the most cost effective means for protecting you, your family and your business. By virtue of their special tax status, life insurance products with an investment component can also combine wealth protection with a unique enhancement for tax-deferred investment opportunities. Plan for business succession: You’ve spent years building a business you’re proud to call your own. To ensure you maximize the value of your business when it comes time to sell, transfer or exit, you’ll need to develop and implement a business succession plan. Plan for retirement: We know that the meaning of “retirement” is a little different for each person and that means your retirement plan is unique to you. We will work with you to build an effective wealth plan whether you are saving for retirement, making the transition to retirement or living in retirement. Plan for growth: Our goal is to find the right kind of investment program for you that is made up of securities that match your objectives and your level of market sophistication. Whether you are focused on Capital Growth, Income Generation, or Diversifying your Portfolio’s Concentration, we can help. We invite you to consider taking advantage of our professional guidance to help you manage the growing complexity of your financial requirements. Greg and his team assist high net-worth families build and maintain wealth in order to create financial fulfillment through a long-term, conservative approach to wealth management. Our primary goal is to identify and understand our clients’ needs while providing tailored financial solutions and experienced opinions to help them make informed decisions. Our expectation is to be proactive in servicing and to always maintain the highest level of professionalism and integrity. We are committed to constantly improving our client service and helping deliver on the goals we make and the expectations we help create. We will operate in an honest dialogue with our clients and endeavor to instill a feeling of confidence. We believe that each client's needs and goals are truly unique. Our goal is to offer you the relevant, custom wealth advice you deserve-and we can do that only by fully understanding you. Using our distinctive approach, we seek to view your life through your eyes. With a deep understanding of your priorities, we then build a strategy rooted in your goals. Greg graduated from the University of Calgary (Haskayne School of Business) with a B.Comm. majoring in Finance. Away from work, Greg enjoys golfing, playing hockey, and travelling with his wife Kim and their son and daughter, Grayson and Reese. 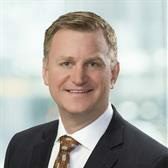 Crockett Trevelyan Wealth Management is a part of TD Wealth Private Investment Advice, a division of TD Waterhouse Canada Inc. which is a subsidiary of The Toronto-Dominion Bank. Mila joined TD Wealth in 2017 and quickly became an essential part of the Trevelyan Wealth Management team. She brings with her 5 years of industry experience in providing clients with high level service. She is here to assist with all daily operations and is licensed as an Investment Representative. 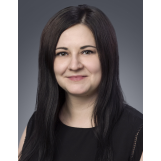 Mila studied Criminal Justice at Mount Royal University and has completed Canadian Securities (CSC) and Conduct and Practices courses (CPH). She loves to travel and enjoys reading, hiking and staying active in general.